Although much of the attention surrounding the 50th anniversary of decimalisation will naturally focus upon coins and banknotes, one should not forget that the 14th of February 1966 also forms a crucial landmark in the history of Australian philatelics. The ultimate tribute to the changeover to the decimal system, this comprehensive collection unites Australia's LAST predecimal stamps with the nation's FIRST decimal stamps! With Australia's original currency system winding down in 1965, there were just nine stamp types issued for the year. Headlined by the Gallipoli 50th anniversary trio (5d, 8d & 2/3), the 1965 series also featured the International Telecommunications Centenary 5d, Churchill 5d, Monash Centenary 5d, Hargrave 5d, International Co-operation 2/3 and Christmas 5d. All nine historic types are included in this collection - all in Mint Unhinged quality! The perfect way to celebrate the decimal changeover, these key predecimal types are united with every stamp type issued at the inception of decimal currency. As you would expect, the beginning of a new postal system necessitated the issue of a large number of types, with 27 different stamps unveiled on the 14th of February 1966. All 27 decimal stamps are found in this expansive compilation, with every one presented in superb Mint Unhinged quality! With limited stock available, and this comprehensive collection available at an average price of just $5.38c per stamp, we highly recommend immediate action. https://www.downies.com/1965-last-decimal-1966-first-decimal-stamp-collection 15887 1965 Last Decimal & 1966 First Decimal Stamp Collection https://www.downies.com/media/catalog/product/1/3/13469.jpg 199 199 AUD OutOfStock /Collectables/Stamps/Australian Stamps Although much of the attention surrounding the 50th anniversary of decimalisation will naturally focus upon coins and banknotes, one should not forget that the 14th of February 1966 also forms a crucial landmark in the history of Australian philatelics. 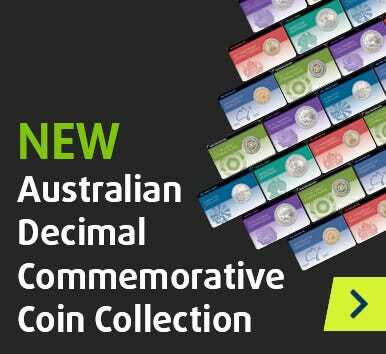 The ultimate tribute to the changeover to the decimal system, this comprehensive collection unites Australia's LAST predecimal stamps with the nation's FIRST decimal stamps! With Australia's original currency system winding down in 1965, there were just nine stamp types issued for the year. Headlined by the Gallipoli 50th anniversary trio (5d, 8d & 2/3), the 1965 series also featured the International Telecommunications Centenary 5d, Churchill 5d, Monash Centenary 5d, Hargrave 5d, International Co-operation 2/3 and Christmas 5d. All nine historic types are included in this collection - all in Mint Unhinged quality! The perfect way to celebrate the decimal changeover, these key predecimal types are united with every stamp type issued at the inception of decimal currency. As you would expect, the beginning of a new postal system necessitated the issue of a large number of types, with 27 different stamps unveiled on the 14th of February 1966. All 27 decimal stamps are found in this expansive compilation, with every one presented in superb Mint Unhinged quality!